Hot summers call for amazing iced coffee! ..At least when you live in New England! But this coffee is more than just amazing, its everything your body needs in one iced cold delicious drink! You’ve probably heard of “bullet proof” coffee by now. All “bullet proof” really means is that powerful fats and other nutrients our bodies need were added to your morning cup of joe. 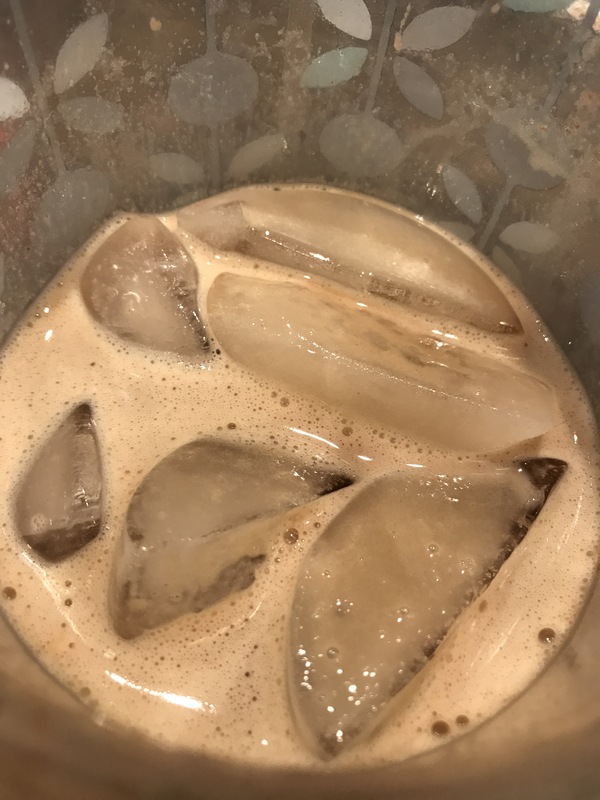 This Peppermint Mocha Iced Coffee Recipe is the same idea only I didn’t add grass fed butter or coconut oil because its ICED… that means the coconut oil or butter would be chunky rather than melted…eeww. So anyways, lets talk about ingredients. First, you’ll want to brew a cup of coffee. 8-10oz cup is good. 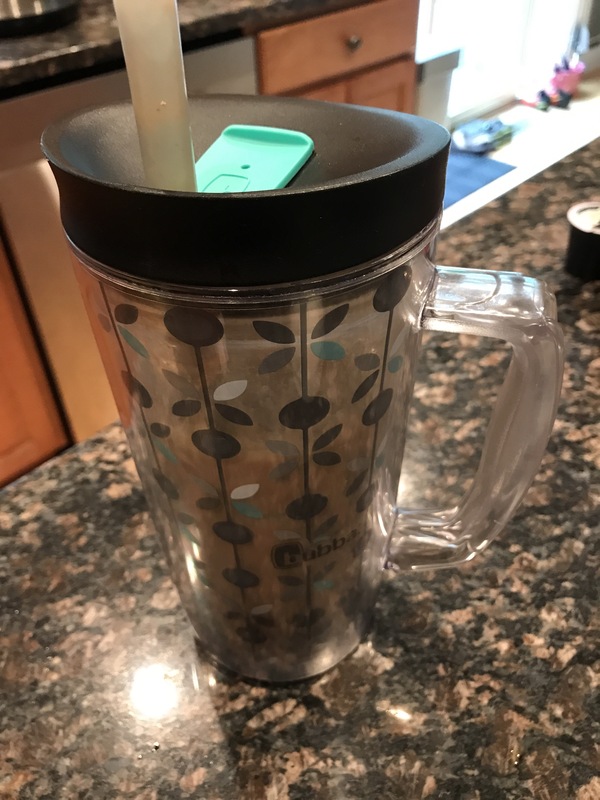 I like to use a dark roast usually so that when my ice cubes start to melt, my coffee doesn’t seem to get watery as fast, but any coffee is good. Next you will need milk. I usually use a little organic half & half and a little 1% milk. If you don’t want to use dairy, vanilla almond milk or coconut milk are great alternatitives! For a sweetener, I LOVE agave. It’s a low-glycemic sweetener and is therefore better for your body than regular sugar. You could also try a little maple syrup or stevia or monk fruit sweetener too. Feel free to leave out both the milk and sweetener if you like your coffee black! That part was basically about making a regular coffee. Now for the POWER part! You will need 1. A good collagen powder and 2. A good protein powder. Collagen is great for our joints, tendons, ligaments, bones, skin and muscles! As we age, our bodies need more collagen to stay strong, flexible and hydrated… No one wants to be dried up and wrinkly! I use Neocell Super Collagen but Great Lakes makes a good one too. From personal experience, I’ve noticed I need to consume a scoop of collagen every day in order to see results. 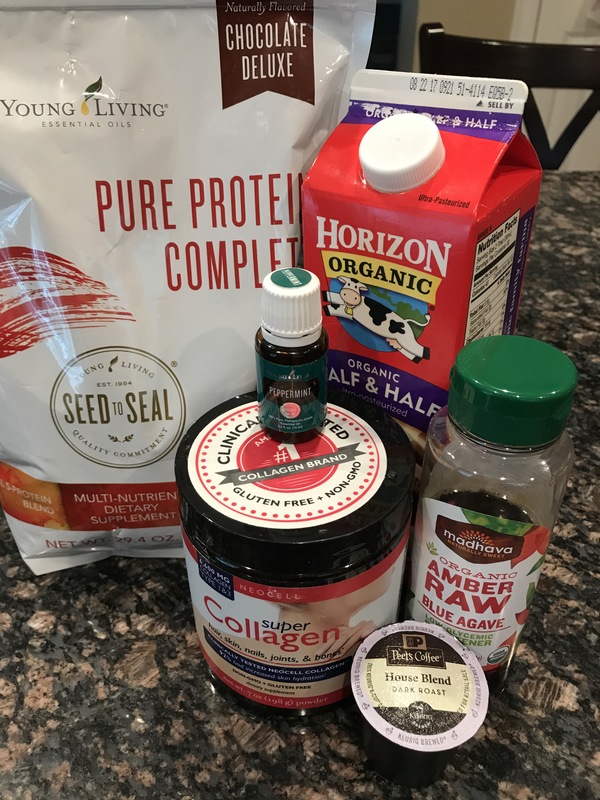 The collagen needs to build up in your system before you start seeing skin improvements and lean muscle. It also seems to help my muscles be much less sore after a big workout day. One scoop of collagen everyday does great things for your body! Protein Powder will help the collagen build your muscles. The more lean muscle you have, the faster your body burns fat! But its important to pick a high quality protein with no fillers. My favorite protein in the world is Young Living’s Pure Protein Complete. I use the chocolate deluxe flavor because I like to turn my coffee into a mocha, but the vanilla spice one is good as well. The Pure Protein Complete has an amazing blend of whey protein, goat whey protein, pea protein, egg white protein AND organic hemp seed protein. And if that’s not enough, it also has a full range of amino acids to support a healthy metabolism and ancient peat & apple extract to support ATP production (the energy currency in the body). Crazy right!? It’s basically all the nutrients you need in a day in one little scoop! OK so now we have our coffee, milk, sweetener, collagen, and protein with amino acids. Last thing we need is our Peppermint Essential Oil! You didn’t think I was going to make something without essential oils, did you?? 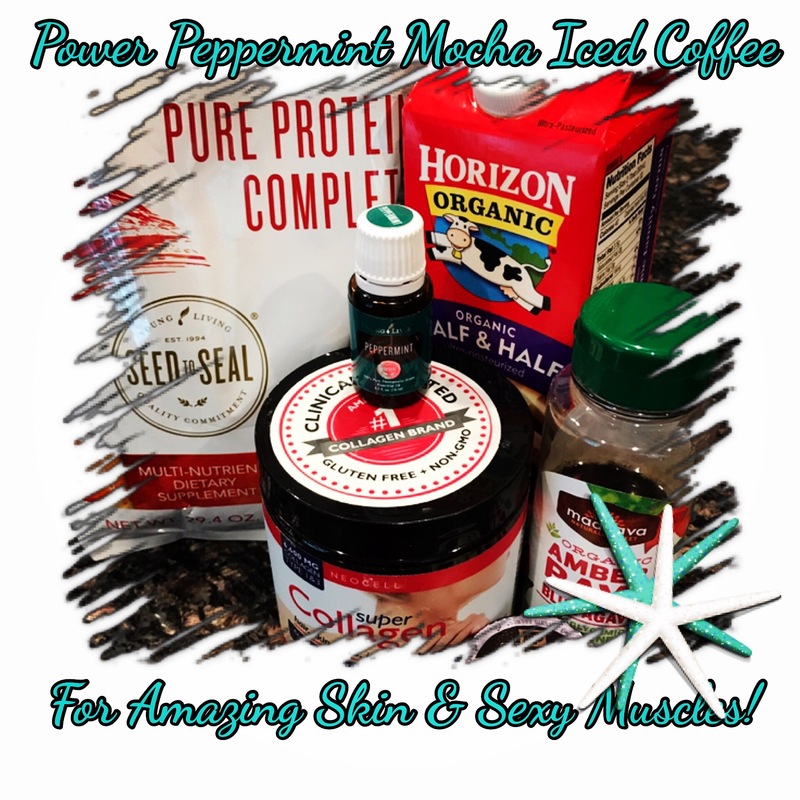 Peppermint Essential Oil is great for digestion and makes our mocha coffee into PEPPERMINT mocha coffee! YUM. I’ve always been a fan of Peppermint Mocha Lates, especially from Starbucks, so this is my WAY HEALTHIER iced version. All you need is ONE drop of Peppermint Essential Oil for this recipe so technically, one 5ml bottle of Young Living Peppermint Vitality Essential Oil can make at least 75 power peppermint mocha iced coffees!! By the way PLEASE do not ingest essential oils from other brands unless you have seen their farming and distilling process and trust them entirely. There are NO regulations for essential oils so you don’t know what you are putting in your body unless the company can show you. I only trust Young Living because they own their own farms AND you can visit them anytime you want to see how they use NO pesticides and test their oils multiple times before carefully sealing them into little bottles and shipping them to your home. I decided awhile ago that if I couldn’t see what the company does on the farm, then I wouldn’t buy from that them. So if you don’t have peppermint essential oil yet, you can buy it here: http://www.myyl.com/reposa. Young Living is also the only company with a Vitality line FDA approved for consumption. Then add a bunch of ice cubes. And drink up! Cheers to a delicious powerful healthy breakfast beverage and a great start to a new day! You are now on your way to an amazing bod and healthy skin! 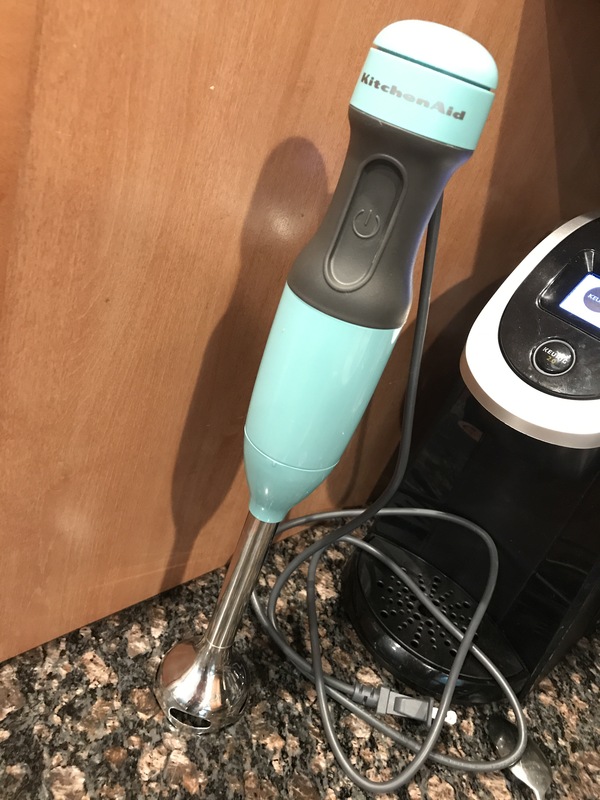 Blend, add ice, and drink up! Cheers to a healthier you! Please follow my blog for additional healthy recipes using essential oils and contact me anytime with questions or comments! Share with your friends and thanks for reading!